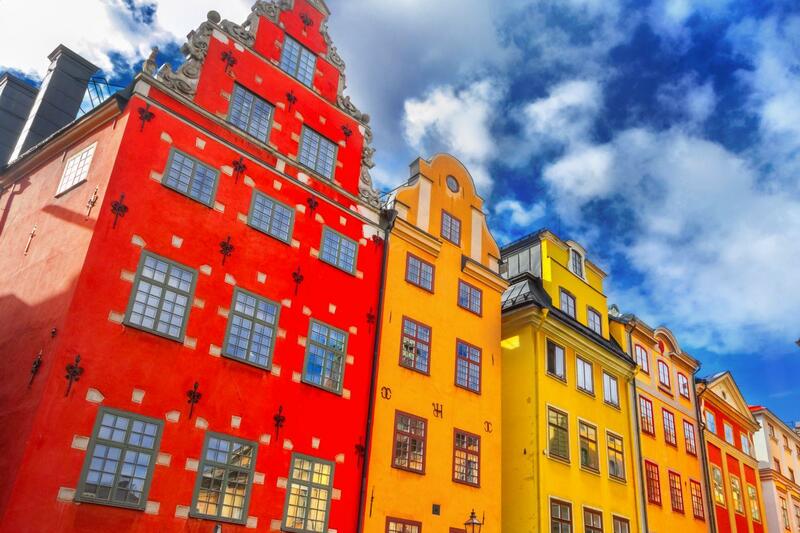 Just outside the centre of charming Stockholm, you will find its sprawling archipelago, of over 24,000 islands, stretching far out into the Baltic Sea. As you travel by boat and two wheels between the islands take it easy and breath in the fresh sea air. Discover sandy beaches, idyllic villages, colourful clapboard cottages and tranquil forests. 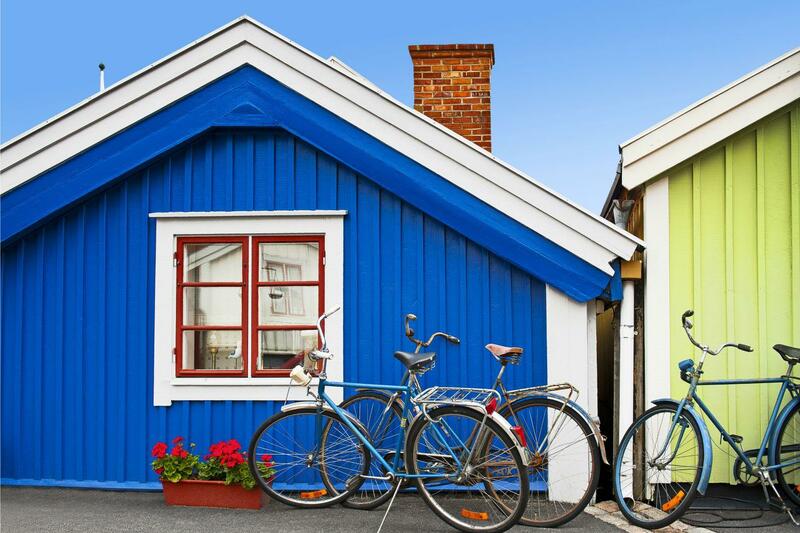 The cycling on this tour is wonderfully relaxed, and overnight stays in a seaside manor house and traditional inn give you a true Scandi experience, perfectly topped and tailed with nights in the beautiful capital, Stockholm. 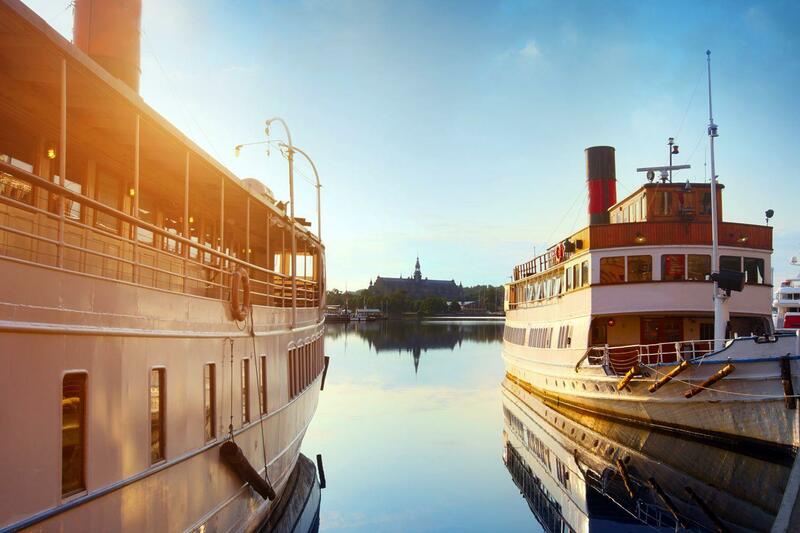 Commonly referred to as the ‘Venice of the North’, beautiful Stockholm is the perfect start to your tour. Its unique location over 14 islands, combined with colourful architecture and medieval history, make it a fascinating place to explore. Both our hotels in Stockholm are located in convenient city centre locations and offer modern, tastefully decorated rooms. 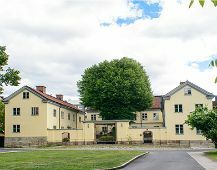 A short transfer takes you to Tyresö Manor, an impressive 17th century palace. Set off from here along quiet country lanes to Tyresta National Park, filled with sparkling forest lakes and a wealth of wildlife. 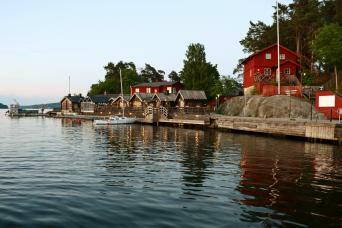 After you have had your fill of this tranquil haven, continue to the idyllic village of Dalarö. With its narrow streets of colourful houses, and white sandy beaches ideal for swimming, it is a beautiful little place to explore. Your overnight accommodation lies just a few kilometres from here in Smådalarö. Situated on the shore of Hemviken Bay in Stockholm’s southern archipelago, this mansion was built in 1810 and enjoys wonderful views over the water from its terraced restaurant. Relax and breath in the fresh sea air this morning as you take the morning boat out into the archipelago to the island of Ornö. An island yet to be discovered by mass tourism, Ornö is a delightful place to explore on two wheels. Cycle through its open woodlands, take swimming breaks jumping off the smooth rocks, and visit historical landmarks, such as the wooden church dating back to 1885. This evening you get to enjoy a delicious meal at a respected archipelago restaurant serving quality local produce, before taking the evening boat to the holiday island of Utö. Utö Värdshus Inn is located minutes from the village and harbour perched high on a hill with wonderful views over the islands in the southern archipelago. Rooms are either located in nearby historical buildings or cosy wooden cabins. A well-respected restaurant can be found at the Inn – one of the archipelago’s best! 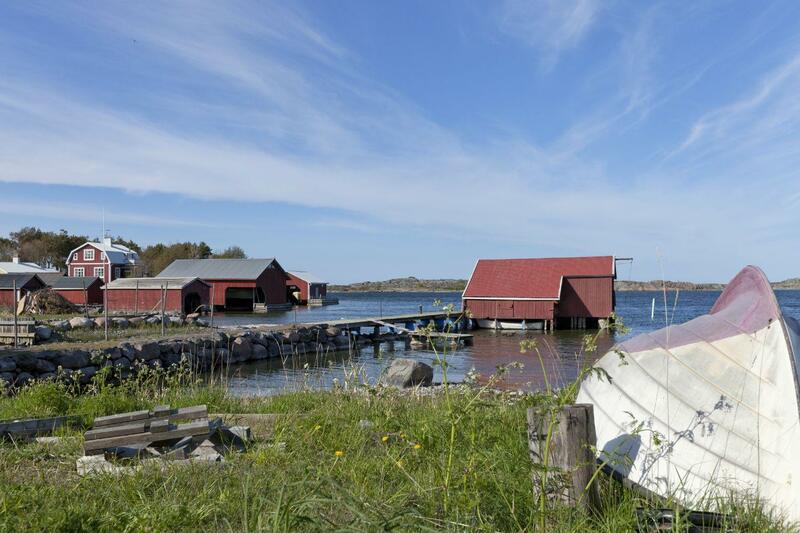 You have a full day to explore the buzzing island of Utö. 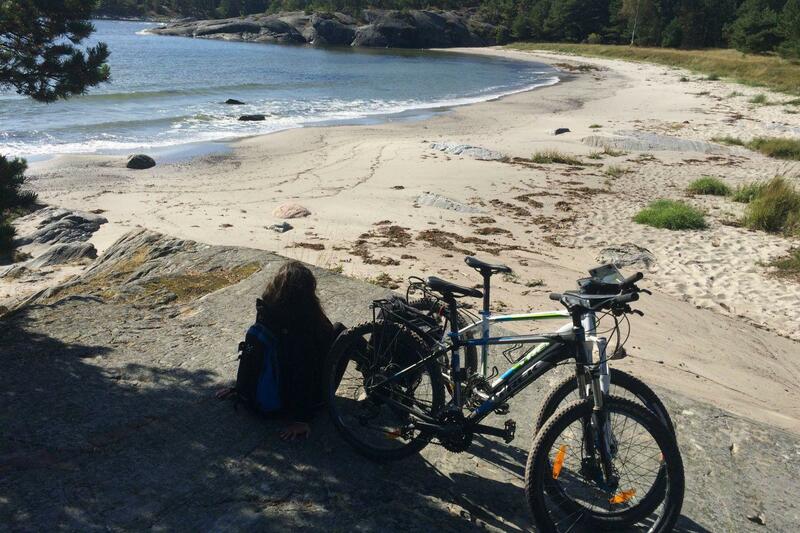 On your bikes, you can travel the length of the island, or cross over by bridge to the nearby smaller islands of Ålö and Nåttarö which both have beautiful white sandy beaches to relax on and enjoy. 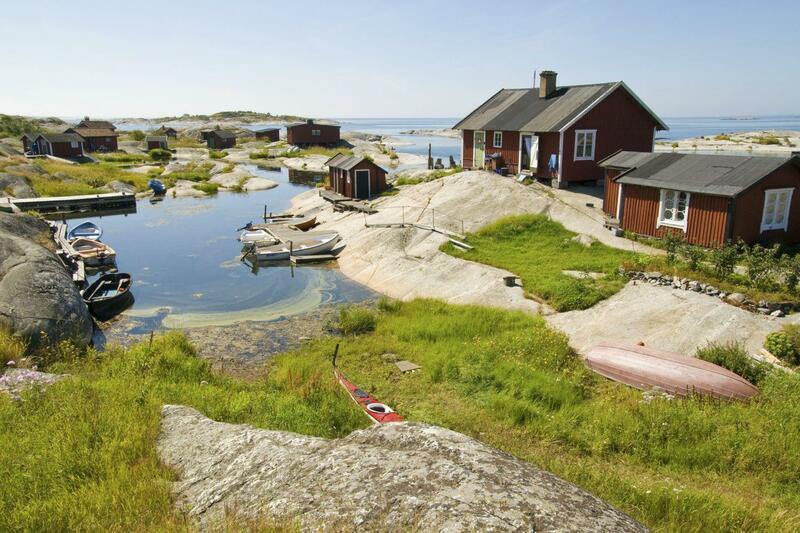 After a free morning on Utö, catch the boat to your third archipelago island, Fjärdlång. Take some time off the bike to hike to the highest point, Tynsta Klint, which has spectacular views over the archipelago, allowing you to view it in all its glory. Board a boat back to Stockholm, and watch as the archipelago changes from the remote islands of outer stretches to the more inhabited regions nearer the town. Your tour comes to an end after breakfast. Make your way back to the airport or speak to us about adding on extra nights to enjoy more of the city. You can also keep your bike for today to enjoy an optional bike ride through the unique ecopark. Here you can cycle through ancient forests, visit palaces and stop at delightful gardens and cafes. 5 Nights accommodation in 3 and 4* hotels and inns are included in your trip. They are all carefully selected small and friendly places that offer great value and warm welcomes. The accommodation we normally use is detailed in the itinerary, however should these particular lodgings not be available you will stay in places of a similar standard. This trip is not available to solo cyclists as it is cost-prohibitive. Single rooms are available with an additional supplement. A hearty breakfast is included each morning. Lunch and dinner are not included (apart from on Day 3 when dinner is included) so you are free to choose from the available options. Most of your accommodations will more than happy to provide a packed lunch on request and this can be booked on arrival. Alternatively you can buy lunch at local shops or stop in a café. Dinner is available either at your accommodation or nearby pubs or restaurants. 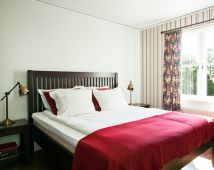 A charming hotel located in the heart of Stockholm, with buildings built around a cobblestoned yard. Located just minutes from the village and harbour, perched high on a hill with wonderful views over the archipelago. Rooms are simple with en-suite bathroom facilities. You can start this tour on any Sunday between between mid-June and mid-August. The dates are limited due to the schedule of the boats so we recommend booking as far in advance as possible. Baggage transfers are included on this tour as per the itinerary, so you only need to walk with a small back-pack. You will need to put the bags on the boats yourself. Your information pack has a detailed equipment list which includes standard cycling gear such as good cycling shoes, warm and waterproof clothes and a daypack. There is good way-marking on all of the cycle routes on this tour, and we will also provide comprehensive route notes and maps so you shouldn't have any problem finding your way. We provide you with mountain bikes with hybrid tires because the terrain is mixed, allowing you to pick up speed on the tarmac, as well as handle the mud and stones of the off-road sections in the forest. Your bike hire comes with 1 set of panniers, a repair kit, a pump and a lock. We recommend you bring your own helmet with you. The grade is easy-moderate. The area around Stockholm is gently undulating with some short and manageable climbs. Routes include a mix of small country lanes and off-road forest paths. Several airlines fly regularly to Stockholm. British Airways and Scandinavian Airlines (SAS) fly to Arlanda Airport. The Arlanda express train takes you from Arlanda Airport to the city centre in about 20 minutes. Ryanair offer low cost flights to Skavsta Airport, which is approx 100km south of Stockholm. Flygbussarna Airport Coaches run buses from Skavsta Airport to the centre of Stockholm and it takes about 80 minutes. We recommend booking as soon as you can as the dates available are limited due to the schedule of the boats on the Stockholm Archipelago. We will always try our very best to accommodate your plans. The grade is easy-moderate and the longest day is 38km. The area around Stockholm is gently undulating with some short and manageable climbs. Routes include a mix of small country lanes and off-road forest paths. Baggage transfers are included on this tour as per the itinerary. Please note however, that you will need to take your bags on and off the boats yourself. You will need comfortable cycling shoes, warm and waterproof clothes, and a day pack. Your bike hire comes with 1 set of panniers, a repair kit, pump, and lock. We recommend you bring your own helmet with you. As the boats between the Stockholm archipelago islands only operate from June through to August, the summer season from June to the beginnng of August is the best time to do this walk. Although Europe was experiencing record heat, this cycling/boat trip had the perfect mixture of terrain, challenge and options along the way including some hiking. Accommodations were quite nice. I would do this itinerary again. An extremely pleasant holiday visiting the beautiful city of Stockholm as well as getting into the outdoors on bikes and exploring some of the truly unspoilt islands of the archipelago. Well organised, stress free, good standard accommodation. It's a shame good and drink are so expensive in Sweden but everything is good quality. Pretty unique trip. Day 1: Arrive in Stockholm and overnight. Day 2: Transfer to Tyresö Palace, Cycle to Smådalarö, 38 km. Day 3: Cycle to Dalarö, Boat to Ornö, Cycling on Ornö, Boat to Utö, 30 km. 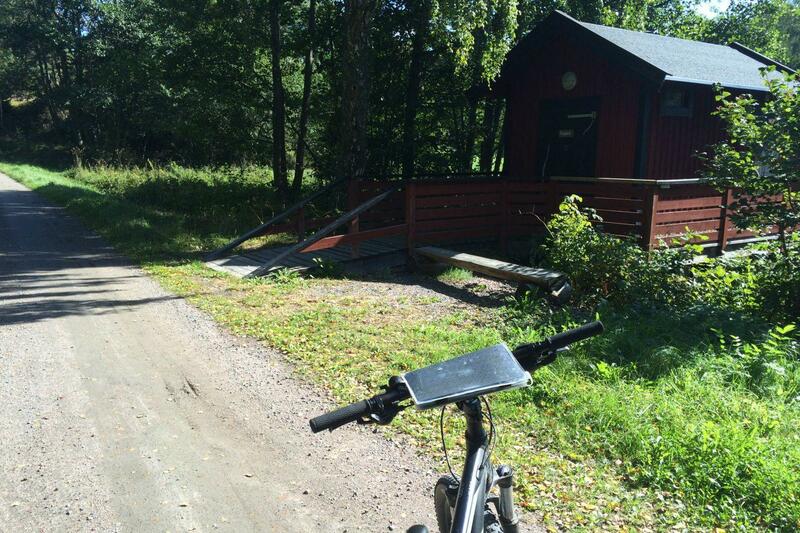 Day 4: Cycling on Utö, 25km. Perfect if you want easy cycling and an island experience, combined with a charming city stay. If you enjoy exploring beaches, islands buzzing with life, and fresh sea air then this is the trip for you!